NARS has been operating since 1970 and has big plans for the future. Read more about our future plans below. 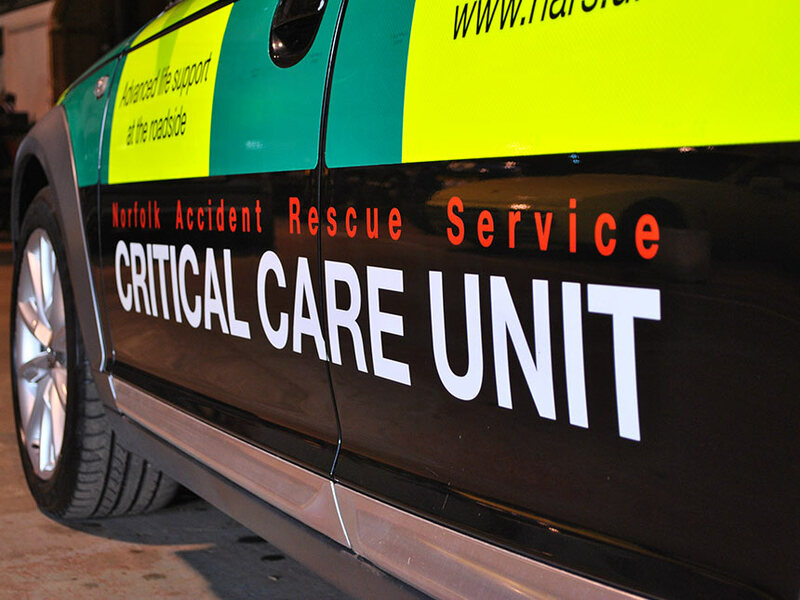 NARS has been in existence for nearly 50 years, providing life-saving services to the people of Norfolk. Our aim is to build an organisation which is sustainable and which will continue to provide excellent critical care, whenever and wherever it’s needed, into the future. Key to our ability to deliver critical care services, is the availability of suitably qualified people. We recognised that we needed to train the next generation of Critical Care paramedics ourselves. Following a process which started in 2015, the first intake group hope to achieve their Masters in a couple of years. Training, training, training. This is the over-riding requirement for trainee CCP’s, qualified doctors and Critical Care paramedics. Training to develop new knowledge, enchance skills and maintain currency in existing ones. This is where the new NARS Training Centre will provide such an important role. The new building will provide the facilities to deliver high-fidelity training, using state of the art equipment. We need suitably equipped vehicles to be able to attend emergencies safely, carrying an appropriate payload of crew and medical equipment. We now have a van-based Rapid Response Vehicle (RRV) which also provides mobile training facilities. As and when funding permits, we hope to expand the number of NARS RRV’s on the road. Of course, all of these plans and ambitions need to be funded. We need our supporters to continue to raise money for us and for people to consider leaving a gift to NARS in their Will. We are also developing NARS Training. This is a service run by NARS to deliver a range of First Aid and medical training to the general public, businesses and the health sector, including GP’s and dentists. Proceeds from NARS Training courses will go straight into charity funds to provide sustainable additional income. We receive no government funding and as such rely on donations from the Norfolk public and businesses.